Canada's top general says the auditor general was right to flag gaps in the military's handling of sexual assault cases and that the Forces' emphasis on duty to report assault cases had "unintended consequences." Canada's top general says the auditor general was right to flag gaps in the military's handling of sexual assault cases. "We put in place some measures that have had unintended consequences," Chief of the Defence Staff Gen. Jonathan Vance said in an interview airing Saturday on CBC Radio's The House. Operation Honour is Vance's signature initiative. It was launched three years ago to stamp out harassment and assault and address a longstanding culture of sexual misconduct in the Canadian military. "Our own analysis was going on at the same time as the AG was doing their analysis, and we came to the same conclusions," Vance said, citing the report released last week by the auditor general criticizing a "fragmented" support system for victims and inadequate training and education, among other problems. 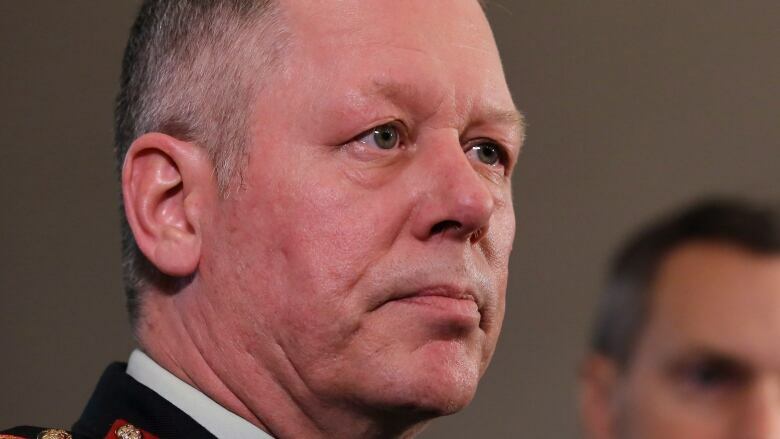 Vance said he was happy that the AG's report and the military's internal analysis ended up with similar conclusions, and insisted he's not losing patience with Operation Honour just yet. "It's not impatience you're detecting. I'm genuinely seized of, 'Let's get going on this changed path,'" he told host Chris Hall. That path now includes some tweaking of the original action steps undertaken by the military — specifically on the duty to report instances of possible sexual assault, which Vance acknowledged had "unintended consequences." "We focused on the prevention aspect first. That's what we could do," he said. "What I've learned is sometimes the actions, after the moment of harm, by the chain of command and by well-meaning people around the individual that remove the individual's control or sense of sovereignty is sometimes more damaging than the actual act itself." Military policy now requires that bystanders report any instances observed of sexual misconduct. The auditor general's report argued that policy meant that third parties were reporting incidents even when the victims weren't ready to come forward. The new policy also requires military police to conduct initial investigations of all reports of sexual misconduct, even in cases where a victim prefers to settle the issue informally. Vance defended bystander reporting as an "action-oriented prevention posture" but said he's learned it can "take control away from a very vulnerable person at exactly the wrong time." "The answer right now is ... the duty to report must remain in place," he said. "You can't have a crime happen in front of you and ignore it. "But the duty to report doesn't mean that the person you report to has to do anything specific before we see to the care and concern and sense of sovereignty of the individual who was harmed. We've learned that, and that's been reinforced to us." So what will change for sexual assault cases going forward? "What that means is those people who are qualified or ought to receive a report of something that's going on, job one is to be able to turn to a mechanism we're going to build that will place the victim at the centre of the effort of, 'How do you want to handle this?'" Vance said. The defence chief also addressed another gap flagged in the auditor general's report. The AG found that the military is not resolving reported cases in a timely fashion, and most are taking an average of seven months to close. "This discouraged some victims from coming forward," the audit says. "Many victims also did not understand or have confidence in the complaint system." Vance said some investigations take longer than others — cases that occurred overseas, for example. "I detect no dragging of feet," he told Hall. "We have supercharged the system to act ... but this can take time." Vance said he is now focused on the next phase of Operation Honour. "At this particular time, with the AG report behind us and some very good analysis done by our own teams ... we're shifting gears from that drive to prevent — which we're not going to stop doing — but now we're going to put in place a strategic plan of culture change and support to the victim." There's no deadline or end date in sight for Vance, though. "It's never going to be done," he said. "We're always going to have to do Operation Honour. I am humbled every day by not only the scope of the problem but also the challenges of dealing with it effectively. "We learn, and we continue to learn." Listen to the interview with Gen. Jonathan Vance on The House on CBC Radio One on Saturday at 9 a.m. ET.